Well it has been a busy and exciting week in the shop which is good because this weekend I am way busy with other things so that is why I am posting now instead of on Sunday. 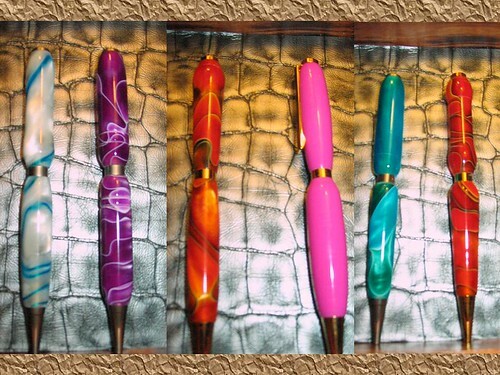 The pens that I have been making lately will be going on sale. They are all made out of wood that was salvaged from work and are now going to be sold in the gift shop at work. 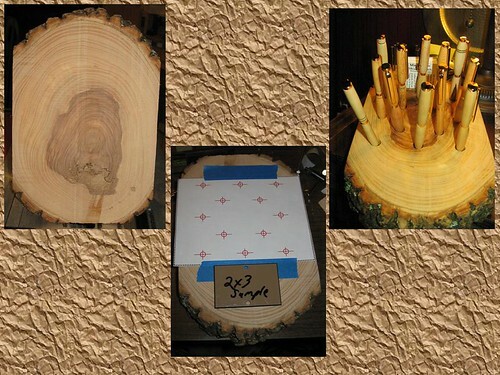 I made a very simple display stand that will hold the pens and some information cards about them and how the wood they are made out of came from the property. My dear wife has finished her first batch of pens. She did a great job on them and I am sure the recipients will be very excited with them. Now to just get that smell of burning plastic out of my shop. My parents will be seeing my grandfather around the holidays and I wanted to make sure to send him something I made. 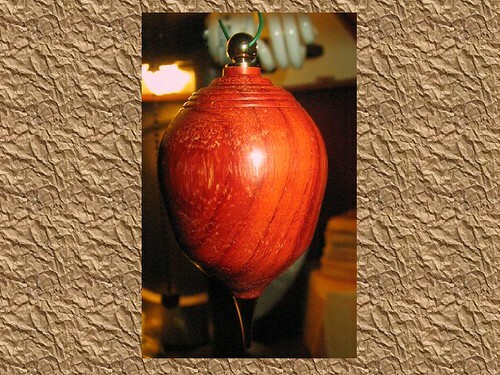 So I decided to keep on the lathe and make him an Ornament from some kits that I purchased a while ago. So here it is the first 7mm ornaments I have tried. Kind of fun and I have two more kits when I get a chance. So I am sure those will be made this year. I believe this one is Jobilo. I hope you all have a great week in and out of the shop.